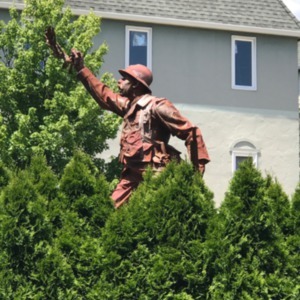 French World War II soldier stands holding a rifle behind his back in his proper left hand. 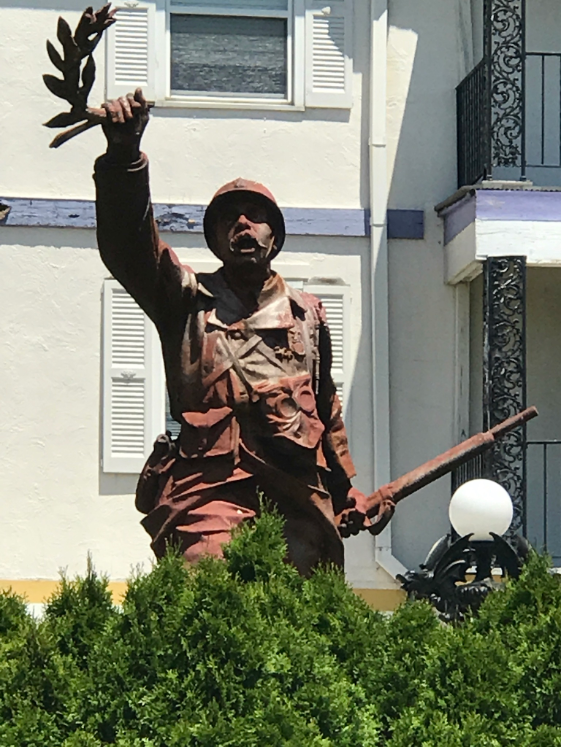 Proper right hand is raised above his head holding a wreath of olive branches. 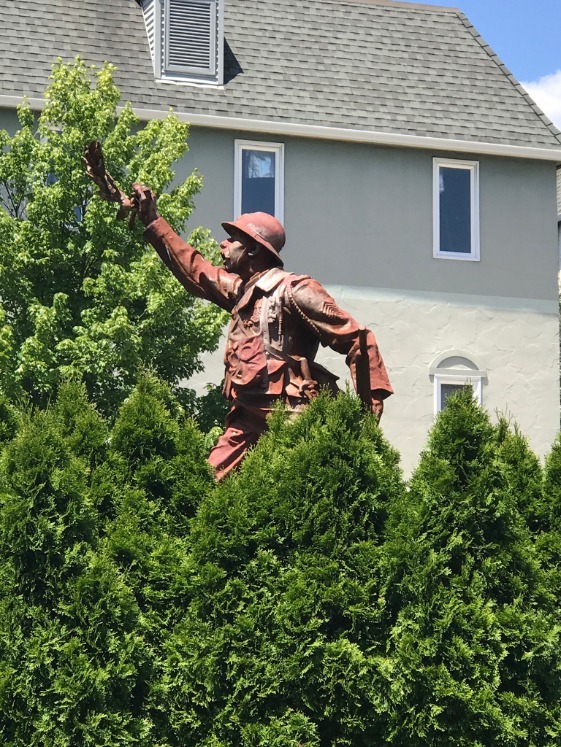 He looks up at the wreath, and appears to be in motion. 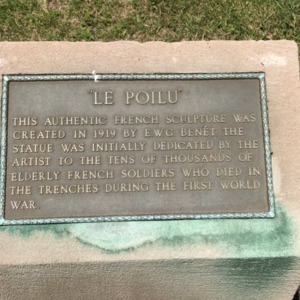 Location: 6076 Busch Boulevard | Previous Location: Originally in France. 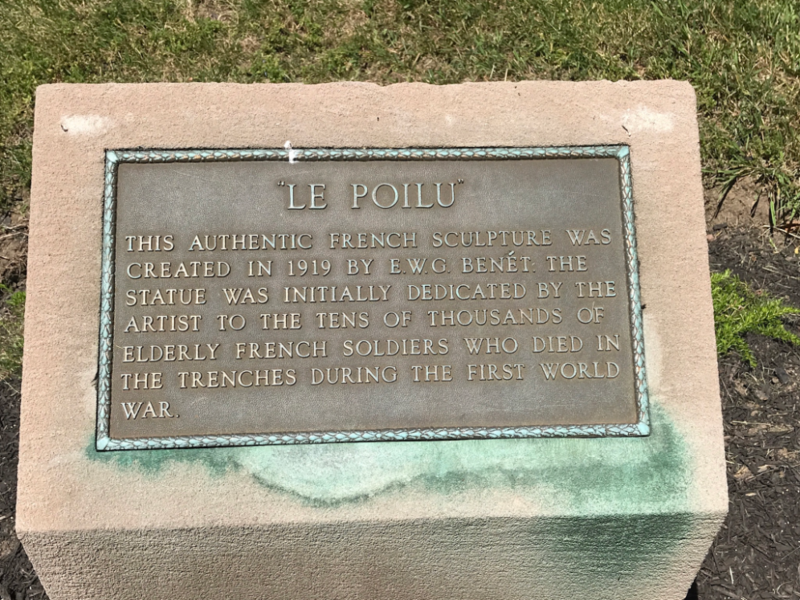 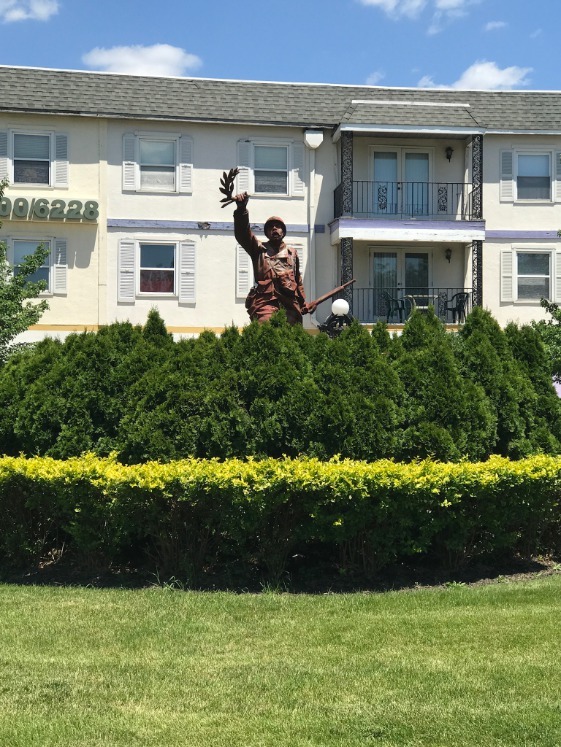 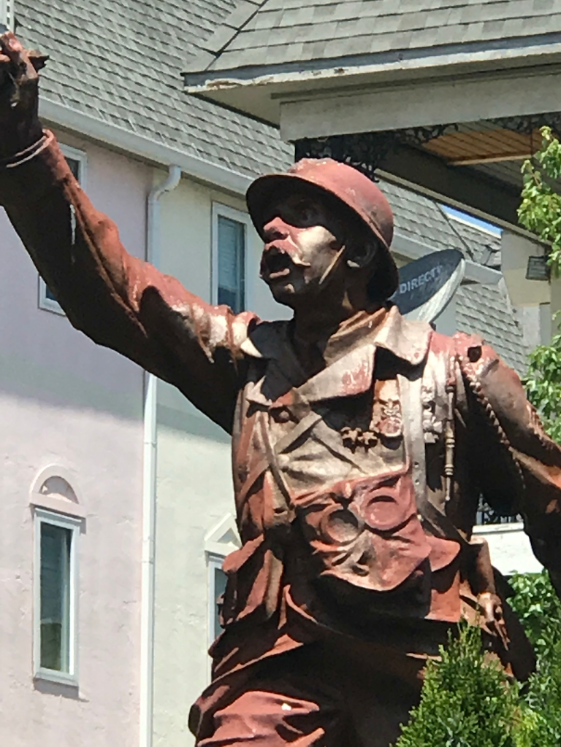 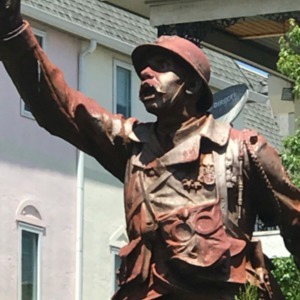 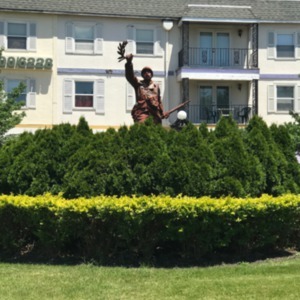 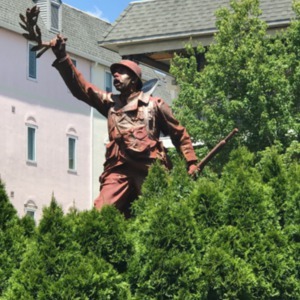 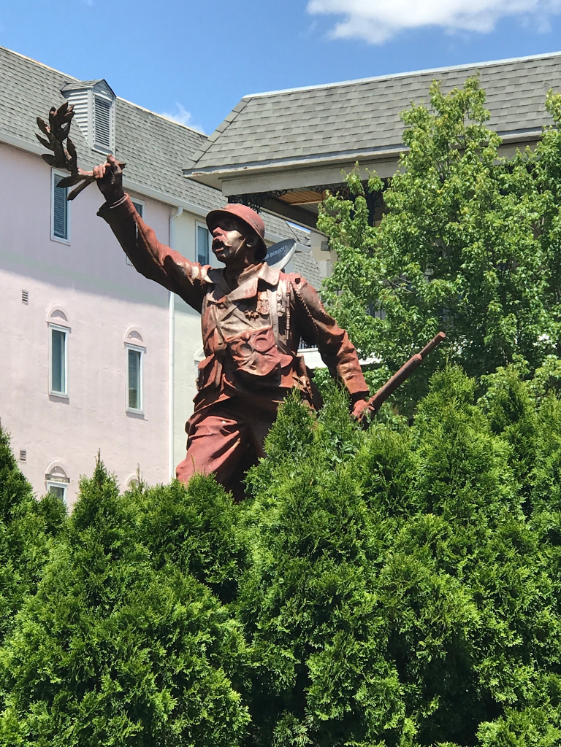 : E. W. G. Benet, “Le Poilu,” Ohio Outdoor Sculpture Inventory, accessed April 20, 2019, http://oosi.sculpturecenter.org/items/show/635.